Mordred < ne ne Master, more importantly, what did you think of my nendoroid ? Kairi < perfect, I Summonded a good servant, I will preordrer day one. Mordred < you bet you will. I'm the only knight to surpass my father ! 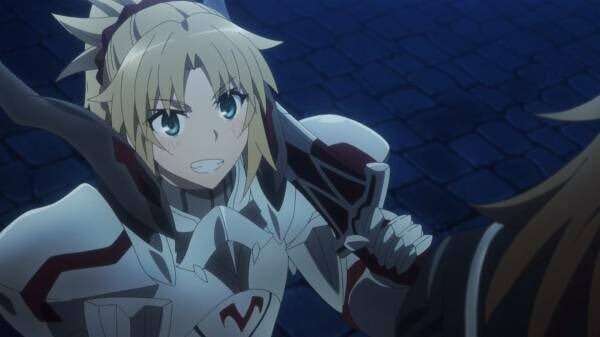 Mordred and Astolfo nendoroids are great, but if they are making Fate/Apocrypha nendos, a Karna would be freaking amazing. Today, 5980 yen on Amazon Japan. SOLDSelling for $30+shipping in the US. She has paint damage on the red part of her armor at the waist and some difficulty with her stand. Price is negotiable please pm if interested or for photos/questions. Selling new/unopened, $50 free first class shipping in the US. Selling her in the UK. She's been put back into her box after being displayed for around a month. fate/grand order fes.2017 ~2nd anniversary~?